Nonprofit Educational Series: Is Your Board Structured for Impact? Over many decades, the nonprofit sector has been besieged with advice concerning its board structures, and too much of it has been based on false precepts about how ideal nonprofit boards should look and act. This has led to a great deal of board underperformance—and even outright dysfunction. 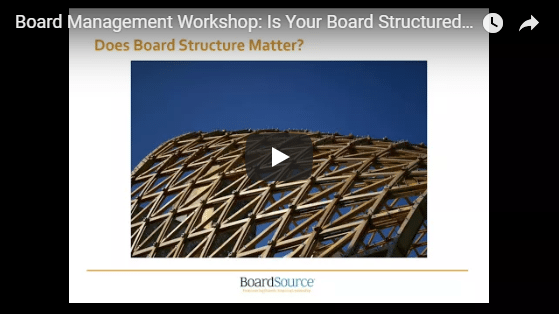 There are some real insights in BoardSource’s 2017 “Leading with Intent” study about what is happening in the structures of boards and what effect these changes are having.